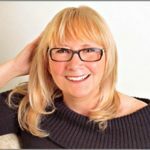 Rossella knows how to leverage her skills as a business development and project manager, transformational coach and mentor to promote professional coaching and its value in the workplace. Employed in a fast growing company in the private banking insurance sector as successful Business Developer and Project Manager, Rossella wanted more for her and her family. She wanted to learn and to leave a legacy of helping people in a very big way. Coaching internationally for organisations and individuals in the workplace was just what she was looking for. In 2013 Rossella Pin, PCC co-founded AIM (the Italian Association for Mentoring), and went on to Co-Found and now serves as Vice President of EMCC Italy, an Italian not-for-profit association that promotes the credibility and quality of professional coaching and mentoring in Italy and encourages national and international exchanges between professionals. Merci: Hi, I’m delighted today to be with Rossella Pin, who I’ve actually met in her home country of Italy, a beautiful, beautiful country. Welcome, Rossella. Rossella: Hi, Merci nice to see you again. 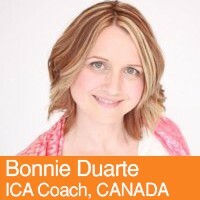 Merci: Okay, well Rossella is a certified coach and graduate of ICA and is also a PCC. Good for you! Merci: And she’s one of only a handful of coaches in Italy who have earned their PCC and I’m curious, how did you come to coaching? Rossella: Actually, that’s an interesting question and I have many, many people asking me that. And when I think at my life, actually, it seems that coaching has always been there. Rossella: And I’ve been really lucky because from the very beginning of my career, I was introduced to coaching via courses I took in London. 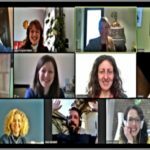 Rossella: But I was mainly using coaching as a technique to help people facing changes in their daily work life. Merci: Yeah, change is a big topic for coaching, isn’t it? Rossella: Absolutely. Yeah. And I have a passion for change, I really love changing. I like to change everything in my life, in my house … well I like to change everything except my husband. Merci: I think it’s a great when the people can see coaching already in the profession we are doing. And build on that. Rossella: You see people changing. When they understand by themselves, the change is really positive. It’s an opportunity for them also to learn and grow, and that’s when the magic happen. Merci: Okay. Who do you coached now? What are your clients like? Rossella: My clients are mainly people that are starting something. So I’ve become a professional in “how to survive with your first year”. So the first year of your university, first year of your new family, first year of your work … my coaching is about how to survive to your first year. And I could write a book at I think on that! Merci: I think you should, a first year coach I think that’s wonderful. First year of your marriage, first year of your retirement, first year as an expat. Merci: Oh, my goodness. I love it, I love it. I think that’s really, really fun. See the niches we find ourselves in ! Rossella: So that’s what all my clients have in common. They are facing the first year, so, all the changes, that’s probably why I like transformational coaching because when you are in the first year of something you really need to change the way you live, without really throwing everything of your life. Rossella: And keep just what serves you now. Merci: Wow, I love it. Alright. So in ICA do remember the assessments? Merci: We create our own coaching model, and we create a power tool for coaching. Tell me a little bit about what your assessments were? And how it was for you to create them? Rossella: Okay, so, it’s been like a little process, actually, during my studies. I looked at the tools I was using in my coaching practice. And there were some common things, like trust, the aim, intuition, action. So these were the tools I was always using. And the assessments came from that. Rossella: My coaching model is called “the aim coaching model”. And it’s a process that guide you through the transformation process. It is made of two part, it start from creating a safe environment. You need to trust yourself and your vision, be healthy and have energy, and support systems around you. Then you go into yourself and I took the symbol of the Vitruvian man and where you get the awareness about what you want to do. Then you go to your heart and find what you know, what you’re going to do. Rossella: And you get your inspiration from your values and move into action because actually it’s when you take that first move that the magic happens. Rossella: So that’s the process. Merci: I think that’s my favorite part training at ICA, and we are used to thinking about kind of things, “What am I doing? And what is it about this that I can keep doing? Merci: So for our final question, if you could tell the world one thing about coaching, what would it be? Rossella: Coaching is magic [laughing]. And actually when I decided to become a professional coach I decided to study professionally with ICA and my passion has become my profession. And actually it is not my profession it’s my whole life which has changed and now I really have the life I want. My story is now my best marketing and selling story. So I would say to the world: start coaching, find the right course, become part of this amazing coaching community at ICA and use your story as your best marketing tool. Merci: Beautifully said I can’t even add anything to that. Thank you again for joining me Rossella. And good luck in all your doing. Rossella: Thank you. Thank you very much, Merci. Ciao. 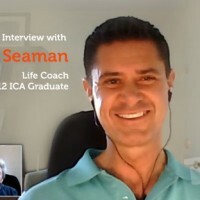 Download a coach training module & listen to recordings of live teleclasses.